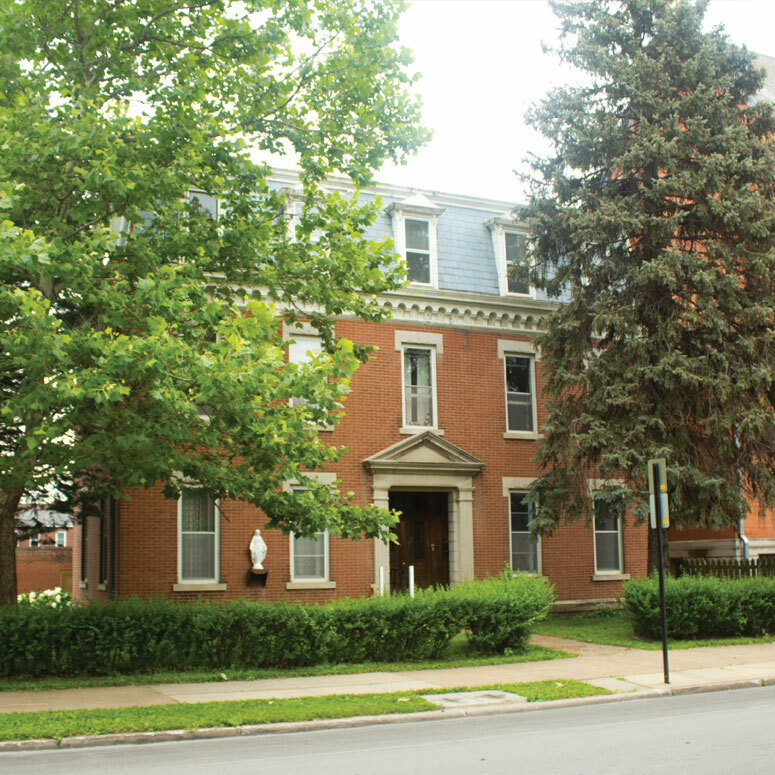 The Steeple Square Board of Directors announced that a day care center will be opened in the former St. Mary’s rectory. 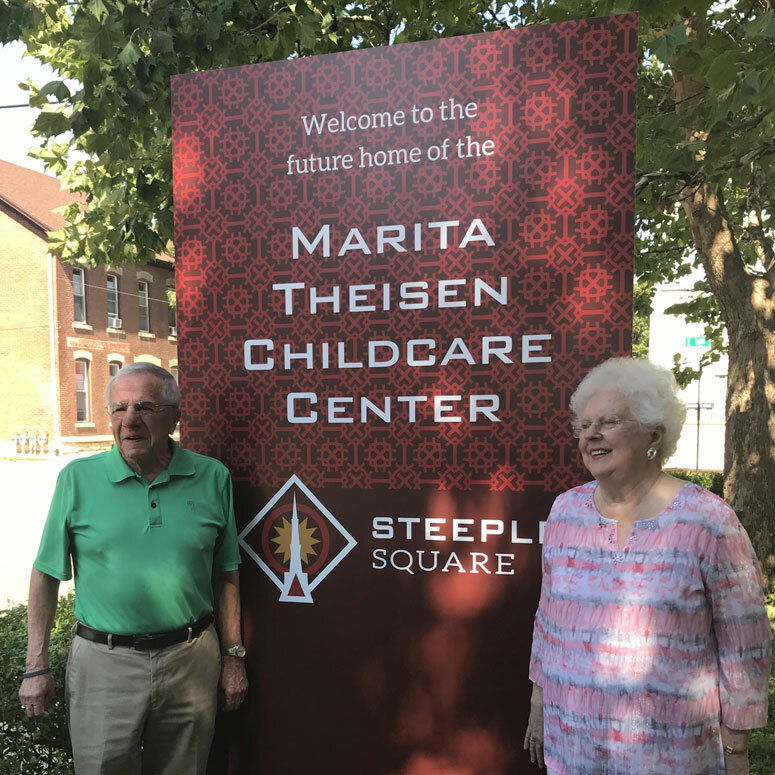 The facility will be called the Marita Theisen Child Care Center at Steeple Square. It is not expected to be ready for children until late 2018 or sometime in 2019, according to board President Jack McCullough. He said the entire Theisen family was involved in the fundraising effort. McCullough said the center, located at the former St. Mary’s Catholic church campus at 15th and White streets, will be able to accommodate 60 children at one time. He hopes to have renovations started by this time next year. Sharon Covey, president and CEO of the Dubuque Community YMCA/YWCA, said her organization might partner with Steeple Square to run the center once it opens. In April, the United Way of Dubuque Area Tri-States and the Community Foundation of Greater Dubuque published a survey study in which 48 percent of respondents said they could not afford child care and 40 percent said they were unable to find child care. Michelle Brown, executive director of Opening Doors, said a day care facility in Steeple Square will be perfect for her clients. Brown said residents at Opening Doors programs Maria House and Teresa Shelter, both located near Steeple Square, don’t own their own vehicles. McCullough and Brown said the project probably wouldn’t ever happen without help from the Theisen family. McCullough said in addition to the day care center, the board is raising money and making plans to fix up the exterior of the steeple itself. He said there is no direct time line, but the board would like it to start next year.